has the burger giant done enough to clean-up its act? Chances are that you have had a McDonald’s meal in the past or if not, you certainly know a lot of people who have. It’s the biggest fast food chain in the world, with 32,000 outlets in 117 countries. The clown-fronted burger outfit employs a staggering 1.7 million people, and in the first three months of 2011 alone it made $1.2bn in profits on the back of revenues of $6.1bn. The company has come in for huge amounts of criticism over the past 20 years, for the impact it has on the diets of people worldwide, its labour practices and the impact its business has had on the environment. From Fast Food Nation to Supersize Me by the way of the McLibel trials of the 1990s, plenty has been written and broadcast to tarnish the golden arches’ shine. 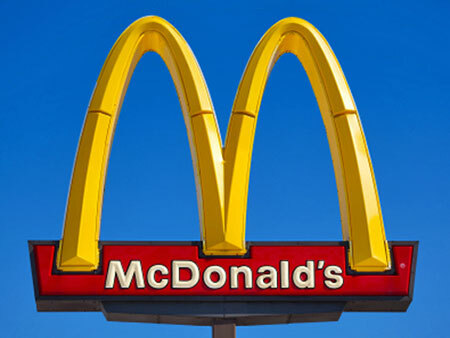 Declining sales in the early 2000s, which saw franchises being shut for the first time in the company’s history, caused a major rethink of the way McDonald’s operates, and its recent rhetoric has been that of a firm with a newly discovered zeal for ethical end eco-friendly practices, garnering praise from champions as unlikely as Greenpeace and the Carbon Trust. But is this just marketing hype or has McDonald’s had a genuine change of heart? The answer is yes and no. First of all, because of the way the company is run, it's hard to generalize. Around 80 per cent of McDonald’s outlets are run by franchisees who have to meet standards set by the company, but who can - and do - go above and beyond them. Further, McDonald’s branches are run by country and regional offices, each of which are subject to domestic standards. The production of much of the raw products which go into McDonald’s meals, from burger patties to sauces, is subcontracted to different suppliers, making it impossible to assess the company in terms of a single golden standard. Its sole global supplier (for soft drinks) is Coca-Cola. The UK branch of the company has certainly made great strides since the 1990s, when it became embroiled in the 1997 McLibel court case, in which McDonald’s Corporation and McDonald’s Restaurants Limited sued Helen Steel and Dave Morris, a former gardener and a postman, for libel after they published a series of leaflets denouncing the company. a major blow to the brand in an age of increasing consumer-consciousness. Since then, the UK branch has committed to a number of initiatives to improve its image, running an aggressive marketing campaign at the same time to portray itself as an ethical employer which is both farmer and eco-friendly. It has also moved to become more transparent, putting ingredients lists for all of its products on its website and setting up another website, Make Up Your Own Mind, inviting customers to voice concerns and publishing accounts of critics’ visits to its production sites. All of this should be taken with a grain of salt however. It’s not surprising that a multibillion-dollar corporation, which has been hurt in the past by concerns over its practices, will do its utmost to sell itself as a reformed character. And it's suspicious that any web search of the company brings up a hit list of sites almost exclusively maintained by the company. Yet research conducted by the Ecologist shows that in many areas the company has improved its record of ethical and environmental awareness over the last decade. The company’s burgers, for example, are now 100 per cent beef, and contain no preservatives or added flavors whatsoever. All of McDonald’s UK’s burgers are provided by Germany’s Esca Food Solutions, which claims to maintain rigorous standards at its abattoirs and production plants, and which works closely with 16,000 independent farmers in the UK and Ireland to maintain high standards. Since the early 2000s, McDonald’s UK has maintained that none of its beef, bacon or chicken is fed genetically modified grain. Farmers working for McDonald’s have independently confirmed to the Ecologist and Esca that they have a ‘decent’ working relationship with the company. In 2007, Esca won the UK Food Manufacturing Excellence Awards for its burgers, and in 2010 McDonald’s announced that it was launching a three-year study into reducing the carbon emissions caused by the cattle used in its burgers (cattle account for four per cent of the UK’s emissions). Meanwhile, all of the fish used in Filet-O-Fish and Fish Finger meals in Europe are sourced from sustainable fisheries certified by the Marine Stewardship Council. Fries are largely sourced from McCain’s, the world’s biggest potato supplier, and McDonald’s claims that the vast majority are produced in the UK, again by independent farmers. 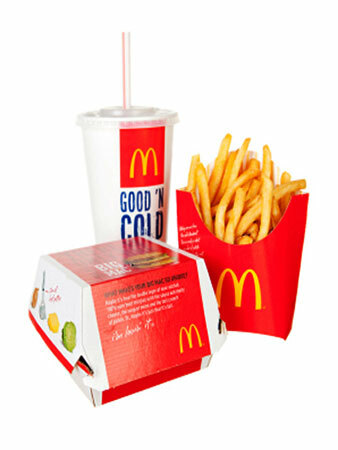 The fries are prepared in-store and are cooked in vegetable oil containing no hydrogenated fats. At the beginning of the potato-growing season, dextrose - a form of glucose - is added as a sweetener, and salt is added after cooking (the company claims to have reduced the amount of salt used by 23 per cent since 2008). The bread for McDonald’s buns and muffins is sourced from a single unnamed supplier based in Heywood, Manchester, and Banbury, Oxfordshire. McDonald’s would not comment on where it sources the grain for the bakeries but says once more that it does not buy genetically modified crops. Meanwhile, the company has been working with its suppliers and franchise-holders to make sure that they are as energy efficient as possible. In 2010, The Carbon Trust awarded McDonald’s its Carbon Trust Standard for reducing its overall carbon emissions by 4.5 per cent between 2007 and 2009. The company is currently experimenting with a series of energy initiatives based around turning its waste, from packaging - which is 80 per cent recycled - to vegetable oil into energy. Since 2007, the company - which is one of the world’s biggest coffee retailers - has committed to selling only Rainforest Alliance certified coffee. Although the certification body has certainly been responsible for improving conditions and practices in many farming operations worldwide, it has been the subject of controversy - most recently after an undercover investigation by the Ecologist revealed allegations of sexual harassment and poor conditions for some workers at its certified Kericho tea plantation in Kenya which supplies the PG Tips brand. Certification issues aside, McDonald’s has undoubtedly become considerably better at taking criticism. 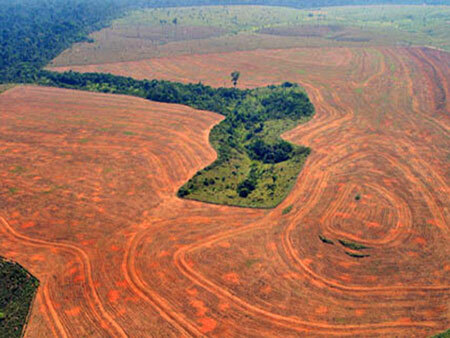 In 2006, Greenpeace activists stormed McDonald’s restaurants across the world dressed in chicken suits in protest at the destruction of the Amazon rainforest, which they attributed to greedy soy producers - who in turn were selling their produce to chicken farms, of whom McDonald’s was a major customer. They subsequently praised the fast food chain for leading a unified response among soy buyers, pressuring producers to adopt a ‘zero destruction’ approach to growing their crops. Despite praise from Greenpeace, the Carbon Trust and personalities such as Jamie Oliver who have praised the company for its ethical stance on meat and buying its produce locally, the firm is by no means perfect. One of the biggest incongruencies in its newly discovered zeal for ethical practices comes from its seemingly differing approaches to the conditions chickens live in depending on whether they produce eggs or are used as meat in Chicken McNuggets and similar meals. The firm proudly trumpets that its UK branch only buys eggs from Lion-certified free-range producers, a laudable effort from a huge buyer of eggs, and that the meat in each nugget is 100 per cent chicken breast (the final product is around 65:35 meat and batter). Yet by the same token, the company buys most of its chicken from two suppliers, Sun Valley in the UK and Moy Park in Northern Ireland, who are in turn owned by the controversial American firm, Cargill, and Brazil’s Marfrig. 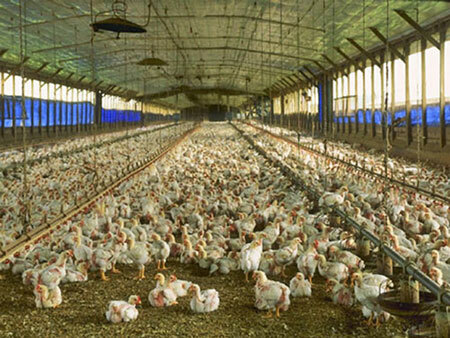 Sun Valley has been accused of using intensive chicken farming methods to produce their meat, which campaigners say can typically involve birds being cooped up in giant warehouses for much of their natural lives with barely any space to move. Sun Valley was embroiled in a scandal in 2008 when the activist group Compassion in World Farming secretly filmed poor conditions at its supplier Uphampton Farm near Leominster. Furthermore, although McDonald’s is happy to advertise the provenance of its beef, dairy products and eggs, it is more circumspect about chicken meat. This may be because up to 90 per cent of the meat it uses in the UK is sourced from Cargill and Marfrag facilities in Thailand and Brazil, where regulations in the farming sector are perhaps less stringent than in the UK. Meanwhile, the fact remains that despite attempts in recent years to cultivate a more healthy image, McDonald’s primary sales come from fast food in a time when there is increasing recognition that obesity has reached epidemic proportions in the UK and the US. Although the European, and in particular the UK arm of the company, have become increasingly ethically aware, the same cannot be said for the US arm, which uses livestock farmed using intensive methods and fed in some cases on GM crops. And by buying McDonald’s in the UK, you are still buying from the same clown.